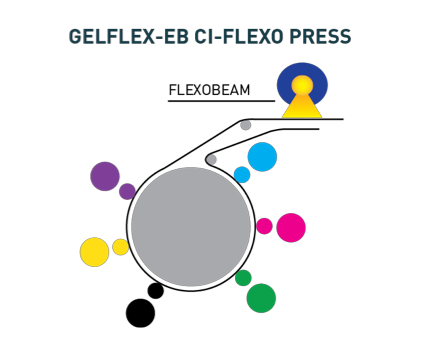 GelFlex EB - HOW IT WORKS. — Energy Sciences, Inc. Unlike traditional inks, with Gelflex-EB a fully formed polymer is not required. 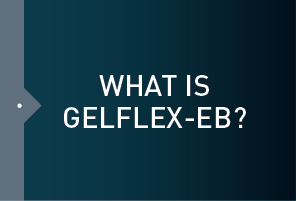 Gelflex-EB technology includes microscopic polymer chains that reduce resistance to flow. Using virtually no solvents, its gel-based technology allows ink to adhere almost instantly to a substrate by way of a covalent bond, resulting in no color bleed. 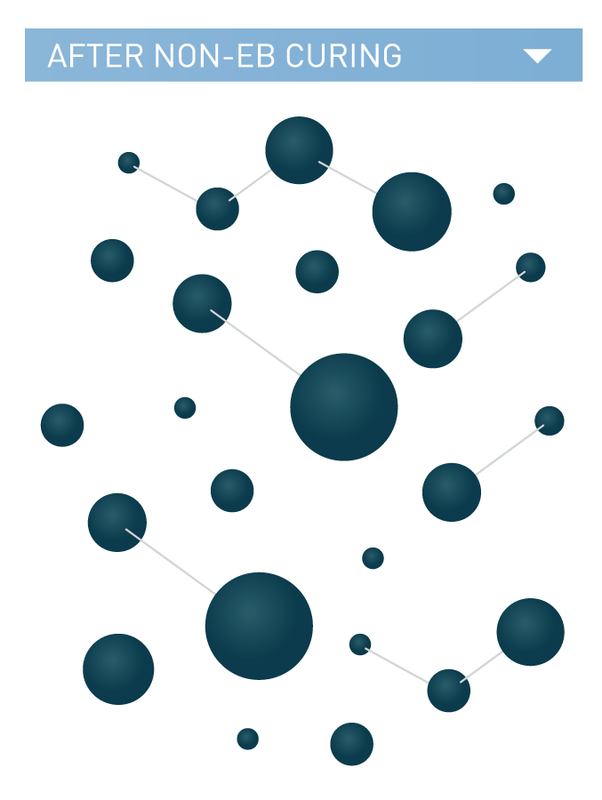 In its reaction with an e-beam, Gelflex-EB crystallizes and cross-links polymer chains to create a contiguous and homogenous layer of polymerized print. 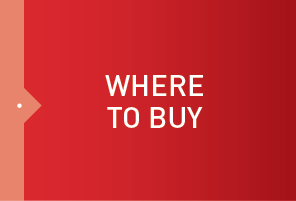 The two-part gel and solvent EB inks have superior physical properties and dot gain, are fluid enough for flexo printing and thicken rapidly, providing effective ink trapping in the wet state as the solvent evaporates and a gel is formed. Only one EB dryer is required per press, eliminating all inter-station and end-of-press thermal dryers. An Electron Beam Processor is a device that accelerates electrons to high energies and projects them into a substrate. 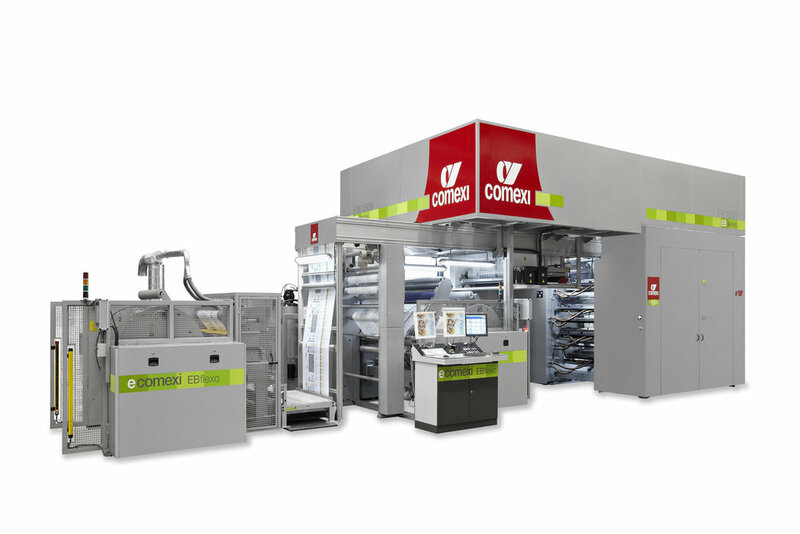 Printers can also EB laminate, extrusion laminate, or EB coat, all in line with the Gelflex-EB inks. At the end of the press, the EB dryer provides the final cross link and cure. And because Gelflex-EB Inks contain no photoinitiators, they are completely safe for food packaging. To date, all applications tested have met migration limits established by the Ramsey proposal, making these materials FDA compliant. When compared to traditional solvent-based ink technology, up to an 80% reduction in solvent emissions has been achieved using Gelflex-EB. This reduction in solvent emissions can lead to lower energy costs associated with solvent incineration and VOC destruction/collection.